Sitting quietly in a the spruce on a dark snowy morning this dark Eyed Junco was taking a break from dodging snowflakes while foraging beneath the tree. 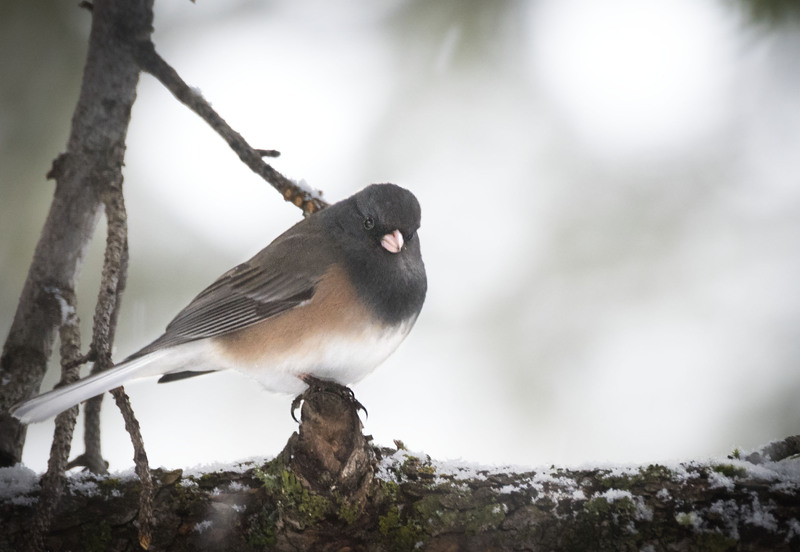 Our Juncos have been foraging more lately with our few inches of snow. They will be heading back north soon. Hi Jim, they do seem to be putting on a little energy storage for the journey here as well. Juncos are wonderful and somewhat subtle in their beauty. Hope the recovery is going well. Nice capture showing off his pretty, soft-looking tan side. Hi Eliza, that side color is something I admire. Soft, subtle and saturated all at once.